Every week, I’ll be publishing a list of top players ranked by expected offensive points. This week, I’m publishing a special edition of my projections which includes expected values for (almost)¹ all player points, not just offensive points! This includes expected goals & assists, shots, expected clean sheets and negative points from goals against, bonus points, and even points differentiated by position (e.g., defender gets 6 points per goal scored, forward gets 5). Want to know more about how this model works? Click here to read the inaugural article in this series, along with an explanation of the model’s basic premise. Valeri “Vako” Qazaishvili is my number one player for this round by nearly a full point, though he comes with the risk of not playing the full 90, and his 727 minutes is a small sample size compared to many on this chart, so we would expect more uncertainty behind his numbers. The other Valeri, Diego, is the other must-have midfielder given his consistently great floor, along with the first-round bye at stake. Danny Hoesen has better expected offensive points and bonus point production than Wondolowski and is a full $0.7 cheaper. If Hoesen starts, he’s a better play than Wondo. There are a significant number of top-notch forward options compared to midfielders and defenders this round, with defenders bringing up the rear. It may be a good round for a 3-4-3 formation. If you’re going to pick a solid defender, though, you can round out your team with NYRB’s Michael Murillo. At only $5.6, he’s a steal for the amount of bonus point production he’s had lately, on par with the likes of Kjlestan. 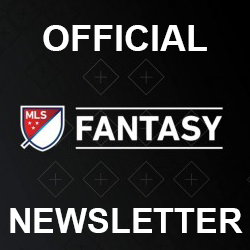 For more fantasy data and insights every round, follow @MLSFantasyStats on Twitter. Source data behind the calculations come from American Soccer Analysis and MLS Fantasy Cheatsheet. ¹I purposefully don’t project penalties and own goals, since they are nearly impossible to predict due to their infrequency. Expected points from passes, yellow/red cards, fouls received, and saves should be in future models but either require additional data sources (which I don’t have time to tie in yet) or deeper analysis (which I don’t have time to perform yet). 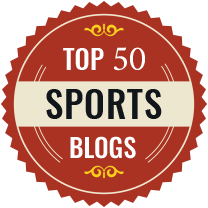 Ryan started out in fantasy football in 2015 and decided to take his analytical abilities to the MLS world in 2017. He is the founder of MLS Fantasy Stats, producing the first and only analytics-based weekly player projections in MLS Fantasy community. He is pursuing a master's degree in business analytics, and he lives with his lovely wife in St. Anthony, MN.